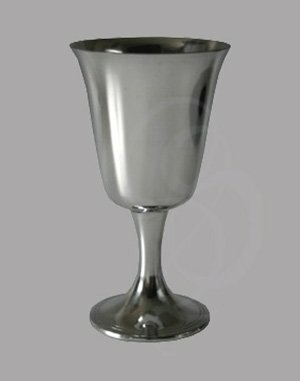 This simple but elegant medieval goblet is the perfect addition to any event. Weddings, birthdays, medieval celebrations, and any special celebration. Pewter will retain its shiny finish with the minimum of care. It should be washed by hand in hot soapy water and dried with a soft cloth. If it has become dull clean with a metal polish prior to washing. For the best results always polish in straight lines never in circles.